Noorani is from a small town in Gilgit, Pakistan. She has chosen agriculture because she wants to contribute her services in this field to decrease deaths caused by hunger and to empower people affiliated with agriculture especially in rural areas. She completed a bachelors from Agriculture University Faisalabad Pakistan and a masters in Horticulture from Texas A&M University College Station USA that actually motivated her to think about doing a PhD. She joined WSU spring semester 2018 in PhD program in Horticulture. It’s her pleasure to be working under supervision of Dr. Markus Keller on improving grapes, its productivity and quality. She likes singing, reading books and cooking. Doing social work to empower youth especially girls is her passion, and she loves interacting with people from different countries and backgrounds, that actually helps her in understanding real meaning and beauty of diversity. Amit comes from the ‘Agricultural Hub of India’, Punjab. He did his B.S. in Agriculture majoring in Horticulture (2017) from Punjab Agricultural University, INDIA. His inclination towards agriculture started at a young age while planting vegetables with his grandfather. 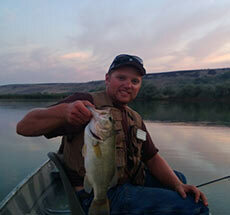 His curiosity to explore and learn more about this arena led him to pursue M.S at WSU. In his free time, he loves to play Badminton. His research focuses on evaluating and optimizing fertilizer sources/rates in Organic Blueberry production. He is eager to begin his project in Spring 2018 at IAREC, Prosser, WA. Joelle Bou Harb is a Lebanese student. Her scientific path started in chemistry. Wanting to incorporate both theoretical analysis and practical approaches, she shifted her interest to agriculture. For her Master’s thesis, she researched different irrigation strategies that could be applied to wine grapes in a Mediterranean environment. She joined Dr. Markus Keller’s group in fall 2014 at the IAREC in Prosser, WA. Joelle’s current work concerns the water stress response of wine grapes, focusing on different types of responses from different varieties within the same species. Her thesis explores different water relations on variable scales within the vine. The goal of her research is an optimized and more efficient irrigation management for different wine grape varieties. She also is interested in exploring different wine styles and understanding what vineyard factors can affect the wine’s final character. Joelle would like to explore more of the Washington state wine grape and production industry since it is quite different from the Mediterranean one she grew up with. Yixin is from Shanghai, China, a vibrant metropolis full of traditional and modern architecture. She received her BSs in Genetics and Plant Biology (GPB) and Nutritional Science – Toxicology from University of California, Berkeley. She worked in botanical garden and USDA laboratory in her senior year and found her interest in horticulture. She began her graduate study with Drs. Lisa DeVetter in the Spring of 2019. The focus of her research is to develop and test technologies and practices that allow for the mechanical harvest of fresh market blueberry with high fruit quality and high harvest efficiency. Ryan Christian joined the Molecular Plant Sciences program in fall 2013 after graduating from the Honors College at WSU with a bachelor’s degree in Agricultural Biotechnology. His research in Dr. Amit Dhingra’s lab focuses on characterizing a set of putative plastid-targeted proteins that are predicted to be involved in energy transduction and nucleic acid binding and are unique to apple (Malus x domestica). I was born and raised in Sibsagar district of Assam state in Northeast India. I completed my B.S (2008) in Life science from University of Delhi, India. I obtained my M.S (2010) in Biotechnology from Bangalore University, India. I joined Washington State University in Spring, 2017 with advisor Dr. Carol Miles. My doctorate work will focus on investigating propagation methods to increase the grafting success of watermelon, which will include screening potential rootstocks for watermelon grafting, and grafted plants will be evaluated in the field to measure impact of grafting on fruit yield and quality. Chandler Dolezal entered Washington State University as an undergrad in 2009. Upon graduation in 2013, he immediately embarked on his pursuit for a PhD in horticulture; specifically, potato agronomy. He is currently researching the impact of phosphorus placement in potato production on yield and other tuber quality factors. He enjoys the hands-on factor that his research provides, especially the fabrication of small scale equipment used in his experiments. Graham Ellis transferred to Washington State University in the fall of 2011. Although he started as a biochemist he soon found his place in agricultural biotechnology with CAHNRS. He also minored in anthropology because of a strong desire to learn and know more about what makes humans the cultural individuals that we are. He has research experience with spring wheat predominantly, identifying genes of durable resistance to Puccinia graminis and striiformis. Aside from his career aspirations to improve the efficiency and quality of agricultural production via genetic means of selection, introgression and manipulation he also loves all sports related to the outdoors. As of summer semester 2015, he has joined Dr. N. Richard Knowles’s potato agronomy, physiology and variety development research team. Weixin comes from Fujian,China, a place with green hills and clear waters and is famous for tea. She finished her B.S in landscape architecture from Beijing Forestry University. Her undergraduate thesis was about the growth conditions and cultivation management of the tissue culture seedings of crabapple. 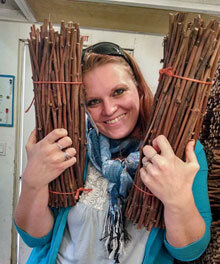 Having a strong interest in horticulture, she decided to study on horticulture deeply at WSU. She will begin her graduate work at WSU with Dr. Lisa Wasko DeVetter in the fall of 2017. Weixin Gan will keep optimistic and studious in the furture. 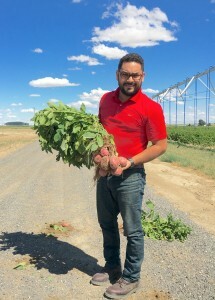 Francisco “Paco” Gonzalez began his college career in 2008 at Columbia Basin College and completed an Associate of Applied Science with a focus in Agribusiness in 2011. In the Fall of 2014 he transferred to Washington State University (WSU), where he earned a Bachelor of Science in Agricultural and Food Systems with a major in Agricultural Technology and Production Management (AgTM) and a minor in Horticulture. Prior to graduation at WSU Dr. Mark J. Pavek accepted Paco as his pupil. Francisco was raised in the Columbia Basin, where potatoes are king, sparking Paco’s interest in potato research. 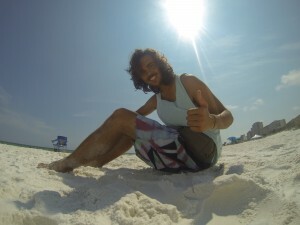 Paco is interested in researching potato agronomy, irrigation, and the use of unmanned aerial vehicles in potatoes. Sarah Kostick is from Minnesota and until arriving in Wenatchee, WA had spent very little time in the Pacific Northwest. 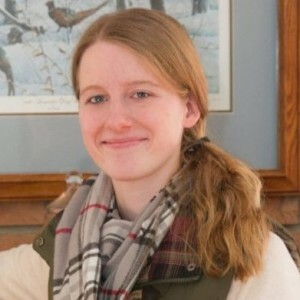 In 2014, Sarah received her BS in biological sciences from Michigan Technological University. In 2016, she received her MS in applied plant sciences from the University of Minnesota. Sarah joined Kate Evan’s pome fruit breeding program as a PhD student in 2016. 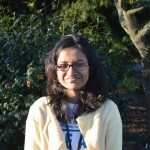 Her project focuses on the development of DNA based tools for the selection of fire blight resistant apple germplasm. Feixiong Luo was born and raised in Hunan Province, China. 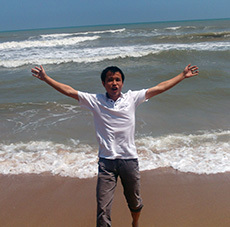 He received his Bachelor’s degree from Hainan University focusing on selecting salt-resistant banana seedlings, and developed an interest in horticulture. He continued to deepen his understanding of pomology through taking part in an apple rootstock breeding project at China Agricultural University while his concentration was on the root systems of apple trees grafted on different rootstocks. He began his graduate work in horticulture at WSU in fall 2014. He is working with Dr. Cameron Peace on tree fruit breeding. His research focus is on red fleshed apples. Yao was born and raised in Henan, China. He obtained his bachelor’s degree in Horticulture from Fujian Agriculture and Forestry University in 2016; during this time he spent two semesters at the University of Florida as a transfer student. He has done some research on rosemary tissue culture, focused on improving the carnosic acid yield extracted from the rosemary tissue by changing the conditions of cultivating the tissue. He began his MS work in horticulture at WSU in summer 2017. He is working with Dr. Carol Miles on testing new crops for production potential in Northwest Washington. Alexander was born and raised in Arizona. 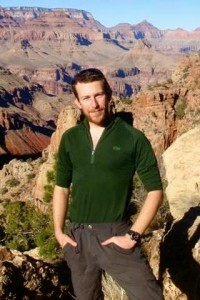 He attended The University of Arizona for his undergraduate degree, where he worked in various labs expanding his knowledge of plant science. In addition to working in labs, he was a member and president of the Undergraduate Horticulture Club at the University of Arizona. He began his graduate work at WSU in January 2018 under Dr. Cameron Peace. 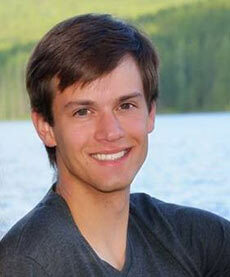 His research will focus on tree fruit genetics and breeding using DNA based tools. Outside of school he enjoys hiking and photography. Nataliya Shcherbatyuk was born in Russia and raised in Ukraine. She worked in several private companies in Ukraine from 2009-11. During 2012-2013, she was an intern with the Washington Tree Fruit Commission in Wenatchee, Washington. She began her graduate work at WSU in spring 2014 with Dr. Markus Keller. 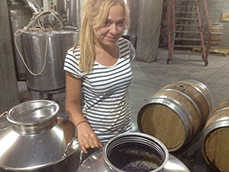 Her project will be focused on the details of grape berry development and ripening. Joe grew up on his family’s ranch in Okanogan, Washington where they raised cattle, wheat, and hay. After high school, Joe followed his passion for agriculture and 26 relatives, attending Washington State University from 2012 to 2016. He obtained a B.S. in Agricultural Food Systems (AFS) majoring in Ag Technologies and Management (AGTM). Following WSU, Joe worked for the Wilbur-Ellis Company in Colfax, Washington as an agronomy sales rep. After two seasons at Wilbur-Ellis, Joe made the decision to return to WSU in pursuit of his Masters in Horticulture degree. He will be joining Dr. Mark Pavek in the fall of 2018 focusing on potato agronomy. Area(s) of research interest: Potato agronomy, plant nutrient. Bruce Williamson was born in Costa Rica, where he earned his BS in Biology from the University of Costa Rica. He has lab experience in plant transformation and genomics. His research focuses in pea genomics, specifically using SNP’s.